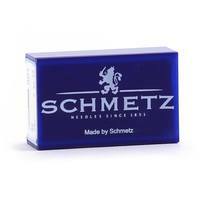 For all general sewing of most woven and knit materials. For use in all household sewing machine brands and types for which needles with a flat shank are required. 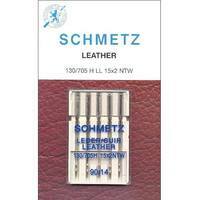 Most Schmetz needles include two coded bands just below the shank. 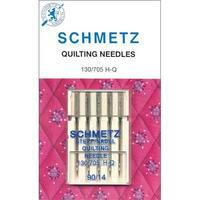 The top color code indicates the type of needle and the lower band indicates the size. 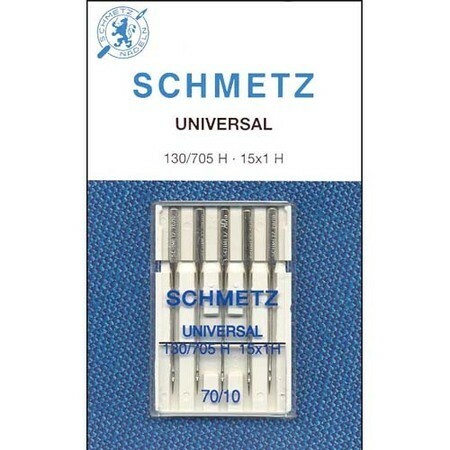 Most Schmetz universal needles will not have an upper color code, although they will still have a size color band. The color bands on these needles will be different for each size. Five (5) needles per card.